Canon vs. HP, Ricoh vs. Xerox…How to decide which brand to use?! When trying to decide on an office machine, looking at the list of many top manufacturers can be rather overwhelming. How can you know which is best?? It is never a valid concept to say that “Brand A is better than Brand B”. You have to look at the functions of each machine individually in order to make your decision. 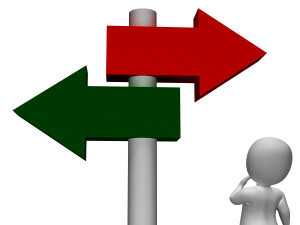 When making the decision, there are various factors to look out for which will help you make a good choice. Compare. Find models that fit your budget and perform the functions you need. Make a list of those models. Avoid features you don’t need. Paying extra just because a printer has exciting features you’ll never need or use is a waste of money. Look at the pros and cons of each and weigh up to see which is most suitable for your needs. When you’ve got your list of potential printers, find the ink cartridges used by each. Then write down the page yield for each set of cartridges and the cost. Then make careful calculations. Ink is where your real money will be spent, long after the initial purchase. Any money you saved in the initial purchase is more than lost when replacing the inks very often. 1. The cheaper the printer the more you will spend in ink. 2. Ink tanks (one for each color) are almost always more economical than ink cartridges where three colors are in one cartridge. Our helpful staff at copyfaxes will be happy to give you some advice and help out. Good luck and happy decision making! !